The Harris Tweed Bike Ride will take place on Saturday for its fourth year. 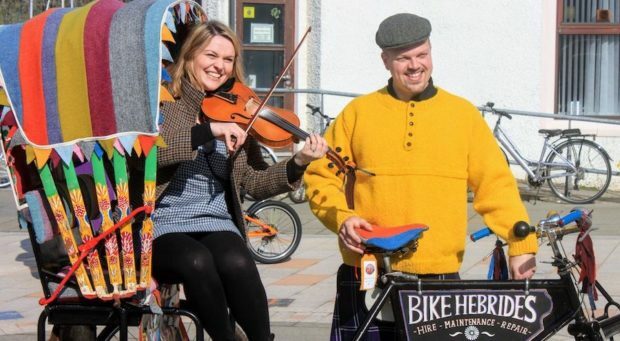 The Harris Tweed Bike Ride will include a parade through the heart of Stornoway on Saturday from 10am until 12pm with riders dressed in traditional Tweed. The best dressed rider will receive the yellow Jersey, which will be specially knitted for the occasion; meanwhile, the youngest winner receiving the white jersey. Riders will be able to stop off during the ride at various locations including Charles Macleod‘s for some black pudding and Lews Castle and the Harris Tweed Shop for additional refreshments and photographs before being treated to tea and a scone at the end of the ride.